Earlier today, Doug Kaye and I headed to Open Studios at Hunters Point in San Francisco. We had a great time talking with one of my favorite local visual artists – Pep Ventosa – at his studio in Building 101. I love Pep’s work – with multiple exposures and blending in Photoshop. Beautiful work. 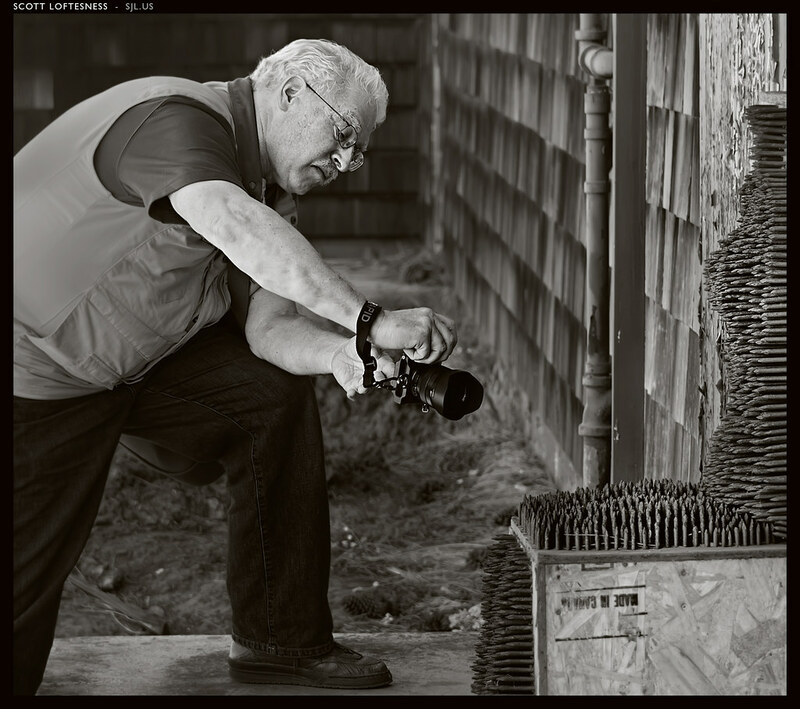 This is a shot of +Doug Kaye working one of the more interesting subjects we came across – a sculpture of a woman seated – made of nails. Doug’s shooting with his Sony NEX-7. Shot with my Nikon D600 and post-processed in Photoshop CS6.